Harvard format, or date-and-author referencing, is used by thousands of schools around the country. 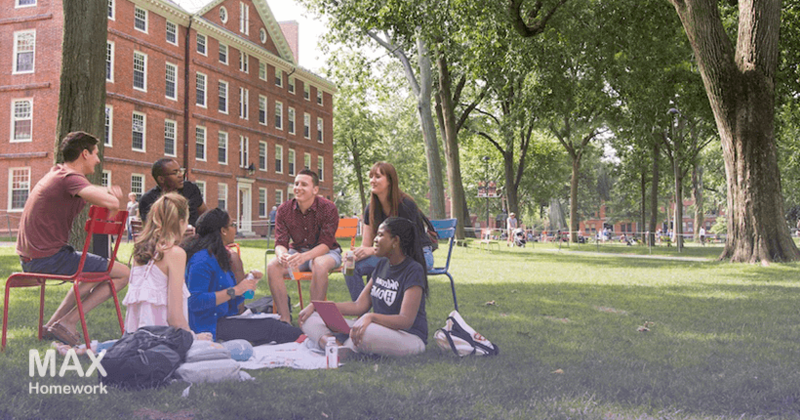 Some of the students may also be familiar with this academic assignment format, but others are really surprised when they are tasked with formatting their essay using Harvard guidelines. If you don’t know where to start, check out these tips to correctly format your work Harvard style. The reference page is hardly the most important part of your written assignment, but it does display your qualities as an academic writer. Have you ever thought about why correct formatting of your essay is so important? The job of a referencing page is to show the scientific community where you get your ideas, facts, and statistics from. All the external sources used by you in your work should be mentioned on this page. The main purpose of the reference page, whether you use Harvard format or other style, is to give acknowledgements to the authors whose works you featured in your assignment and avoid claims of plagiarism. Plagiarism is very frowned-upon in the scientific community, which is why providing references and giving credit to other authors is the only way to present yourself as a competent academic writer. References also demonstrate your abilities to thoroughly research and convincingly present the discovered information. Wondering how to correctly create a reference page for your academic assignment? Here are 6 tips that will help you ace this challenge. Use in-text citations whenever your text requires them. Write down notes that you will later use to create your bibliography section. Capitalize the first letters of the author’s name in the reference section. Every source you use should be referenced; don’t forget to note each source down. The titles of the works of other authors can be underlined or written in italics, but don’t use both at the same time. Punctuation is not regulated in the Harvard format, but you should keep it consistent. The Harvard format may not look particularly intimidating on paper, but when you start working on it, issues may arise. If you can correctly format your paper, you will definitely impress the person that will grade your work, while incorrectly formatting the references will lead to your grade suffering. A bad idea for creating an outline in the Harvard format is to simply make a list of items. Your outline should be much more complex. You should always watch the level of specificity you want to achieve; not every topic should be investigated in detail. Keep your use of letters and numbers consistent and alternate between the two whenever you feel like it. Why is a good outline important? Find out more about the topic you’re researching. Be more organized and thorough when completing the written assignment. Get a better understanding of the sources you’ve used for your work. Connect the materials you’ve discovered to the points you’re making in your own work. When does Harvard outline work best? When you want your target audience to completely understand your point. When you require a clear structure to making your writing more consistent and impressive. When you want to find ways to express your ideas in not just full sentences, but also short phrases. When you want to visualize the hierarchy for the subjects and concepts of your writing. An outline, or an essay plan, is much more than just a way to navigate around your own work. It’s a way for you to speed up your writing process and make it more logical and clear. You may have lots of ideas prior to buy an essay, but having an outline will help you correctly structure those ideas and turn them into an impressive piece of writing. Harvard outline may not only help you achieve your goals in writing, but also identify the areas of your work that may need more research. Don’t leave any gaps in your essay and maintain a logical structure of having a thesis, three body paragraphs, and a conclusion, so that your readers can easily follow the flow of your writing. When you are given a writing assignment, first carefully study the assignment itself. See what you are required to do and look for specific instructions. If it turns out that you need to use the Harvard format for your work, don’t worry and use the tips we’ve included above. With those tips your Harvard outline is going to look splendid and hit every mark with your teacher. Even if you don’t feel like you can do the assignment justice, you can always get writing help from a trusted online writing service. Let professional academic writers give you a helping hand no matter how complicated your assignment is and how much work needs to be done. How to Write and Format Your Harvard Outline? Harvard outline guidelines with samples! Try to create your perfect Outline (Harvard Outline Format) with help of our guide and samples.